Foty Fusion Productions offers individual and group instruction in both Arabic as well as classical music. We seek to provide a cultural appreciation of Arab heritage, whether for individuals of Arab descent or others wishing to gain a greater appreciation of the multifaceted Arab culture. Whether learning a traditional Arabic instrument such as the oud (lute), teaching your child the Arabic language through traditional Arabic songs and poems, or learning the dance movements of the debka routine, Foty Fusion Productions seeks to provide you with artistic enrichment which is both fun and educational. We offer individual and group oud classes for students of all ages. 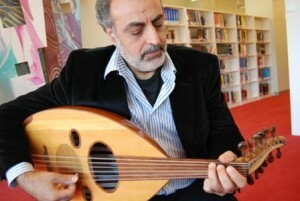 Each private oud lesson will be tailored to the level of the respective student. From basic techniques, posture and note reading, to more complex instruction in traditional Arabic oud repertoire, our oud instructor will provide a comprehensive and supportive environment for Learning this beautiful instrument.